Choosing the right car will have an impact on your life, the Acura MDX might be the right step towards achieving the arduous goal of a worry free vehicle ownership experience. This luxurious SUV is powered by a 290 hp 3.5 liter V6 engine, coupled to a silky smooth 9 speed transmission, that’s a solid building block for an impressive vehicle. But what appeal would all this technology have if it is not attractive to the eye, thankfully the MDX is very handsome, long gone are the years of the maligned “Acura grille beak”. Inside is typical Acura affair, precisely fitted and nicely finished, the dashboard is skillfully designed and the seats made us feel like a baby wrapped in a warm blanket. This is a great option if you live in a city with snowy conditions, Acura’s SH-AWD system will keep you safe with the help of a “TMU” (an Electric Twin Motor Unit). Acura is well aware of the technology fever that has conquered every aspect of modern living, no wonder inside the cabin it feels like a futuristic spaceship. 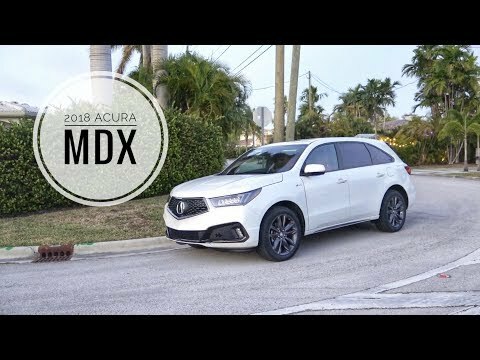 We enjoyed our time with the MDX, so much that we cared enough to look back as it drove away, give it a chance, it might find a place in your driveway, and in your heart ❤️.